Are Your Customers Ready For FSMA? 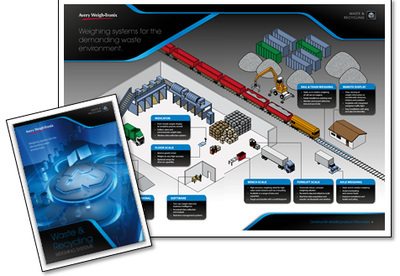 NEW: Weighing Guide for the Waste and Recycling IndustryA new guide which highlights common weighing practices and solutions for waste and recycling applications is available online now. The recycling industry revolves around weight, as both the buying and selling of recycled materials are based upon the weight of the collected items. Whether the goal is to optimise profits, to pay for precisely the materials deposited or purchased, or simply to offer an added level of security, scale equipment capable of reliable and repeatable weighing is essential for improving billing accuracy and the overall bottom line in recycling applications. quick reference, supported by more in-depth product information. Another awesome repost from Avery Weigh-Tronix. Weighing in with Emery Winslow. What is NTEP? Why should I have it? What is NTEP? Why should I buy an NTEP Scale? Many people ask why they should use an NTEP (Legal for Trade) scale or balance instead of any old scale, surely all scales are the same? In the USA the NTEP program is recognized by all states, but the interpretation of which applications should use an NTEP scale varies from state to state. There are some state weights and measures agencies, like California, who say that every transaction that uses a weighing machine to determine the price should be NTEP, and some other states do not. Please contact your local Weights and Measures office to see if you need an NTEP scale in your state and which type would be appropriate. The big question you should ask yourself is not “does the law require an NTEP scale?” but “is buying an NTEP scale the right thing to do for my business”? We all know that starting up a new business or operation takes more time and money than first anticipated, but consider buying a cash register cheaply. It may be made of poor materials, it may be difficult to operate, the drawer may break or there may be many other faults. However, it will very likely always add up correctly even though it makes life a little difficult for you. Now consider buying a scale or balance cheaply. Whatever you buy or sell is calculated by that piece of equipment. If you sell $300,000 a year of chicken legs and your scale is 1% out (in the customers favor) then you lose $3,000, way more than you saved by buying a cheap scale. Consider your scale or balance to be a cash register. It counts your money for you. Buying an NTEP scale or balance is a protection against poorly manufactured equipment. NTEP scales go through a rigorous set of tests that not only take months, but also cost a great deal. They check to see if the weighing device stays accurate when the temperature changes over time and to ensure the scale will take a lot of abuse, and most importantly that you, the customer, get the correct result. Recently a customer dealing in precious gems called us and said that he wanted an NTEP scale for the price of the one he had seen that says it is “Accepted in 23 States.” If you see this, this is not NTEP! Those 23 states happen to be those that don’t require NTEP for your purposes. That scale may be legal in those states, but there is no accountability for the supplier to make a reliable product. If you need legal for trade, always look for the NTEP seal. 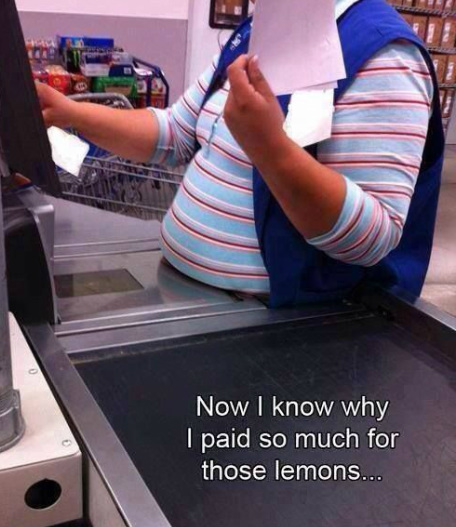 It may cost a bit more, but when it comes to scales, you get what you pay for! What Does Linearity Mean in a Balance or Scale? 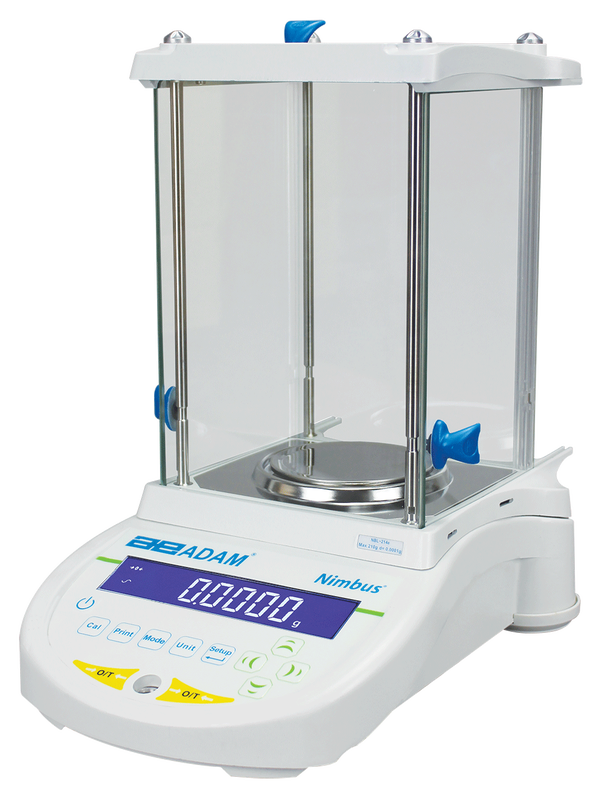 Balances and scales are very precise instruments and like all instruments, they perform within stated parameters. Other examples of these parameters will be dealt with in other sections, but for now we will concentrate on Linearity. 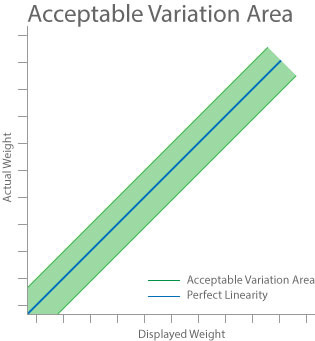 Basically, linearity is a deviation (or no deviation) from a straight line. 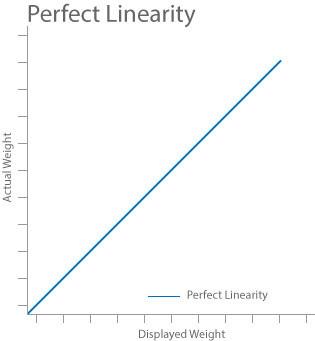 If we draw a graph with weight at one side and displayed value on the other, a purely linear balance would show a straight 45° line from the zero point, right up to full capacity. Each time the load increases, the displayed value increases at the exact same rate, thus giving the straight line. See Fig. 1. (Please note that the errors in the graphs used below are exaggerated to provide clarity). In Fig. 2. We see an example of the allowed linearity of an analytical balance of 200 g with an allowable linearity of ± 0.0002 g. This example shows the error allowed around the “perfect” linearity. The green shaded area represents the permissible error allowed. In Fig. 3. We show the typical linearity of a 200 g balance, with a slight positive error (0.0001 g) below 100 g and a slight negative error over 100 g of 0.0002 g. This balance is just within specification. In Fig. 4. We see a balance that is just outside the tolerance allowed, as the curve of the displayed value exceeds the ±0.0002 g permissible error. Manufacturers and scale dealers have the ability to correct errors in linearization by adjusting the balance with test weights at regular intervals of the capacity. This is not calibration, that can be performed with a single weight, provided of course that the balance has been correctly linearized. 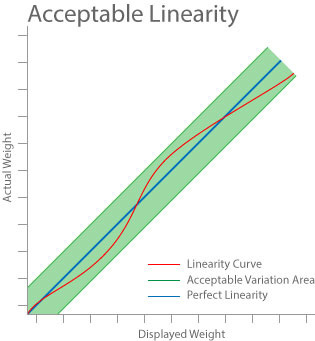 Linearization should not be attempted without specialist knowledge and the correct test weights. Always watch what you weigh! I wanted to utilize some humor here at Gulfstream in order to illustrate an issue that we come across in the industry time and time again. Study the image and then read below. Otherwise you might erode customers trust unintentionally such as is demonstrated in the comical image above.